JFK Asks for a Raise in his Allowance for Scouting. John Fitzgerald Francis Kennedy, President of the United States, was a Scout in Troop 2 in the Bronxville, NY rom 1929 to 1931. 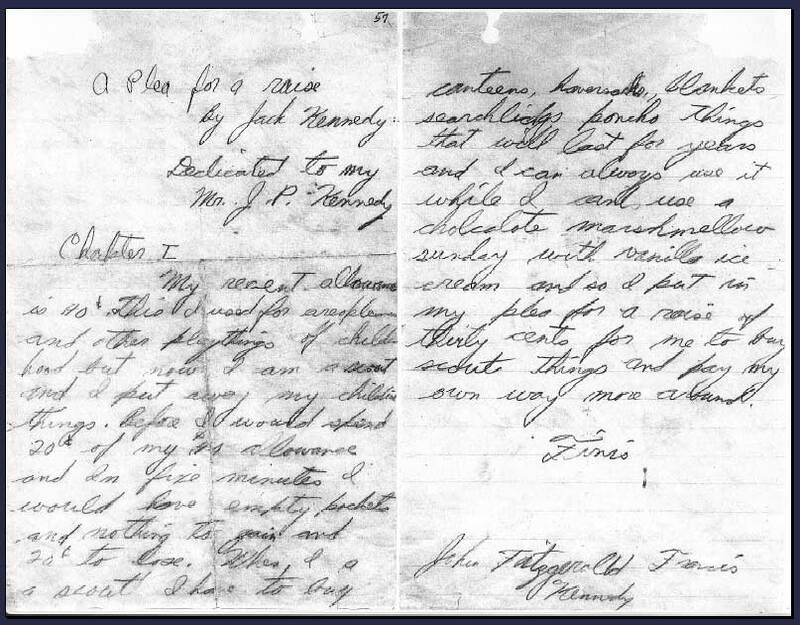 This letter was written when he was 12 years old in 1929.